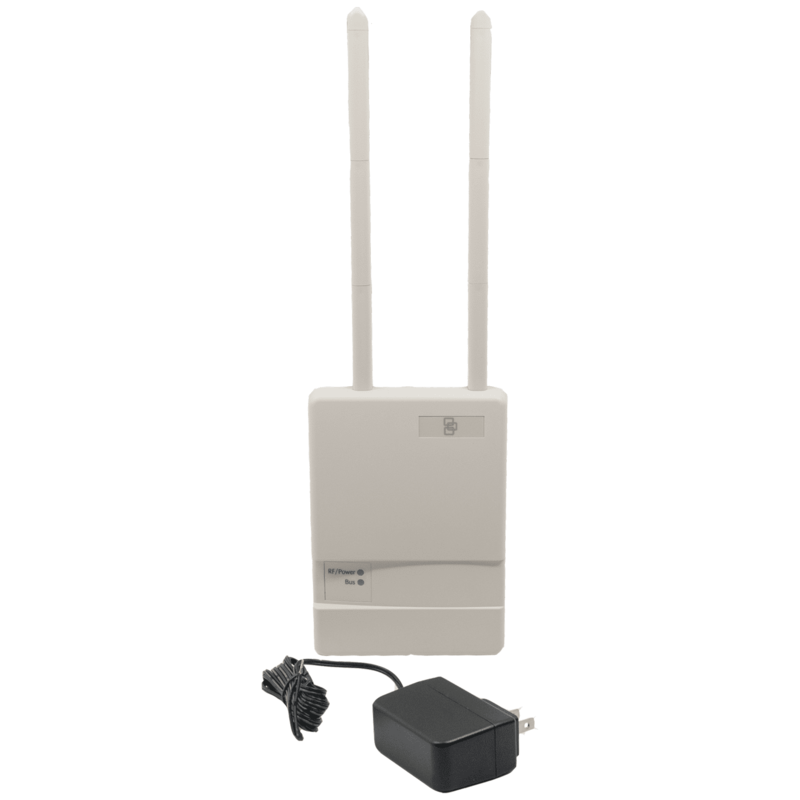 The 80-922-1 GE wireless alarm repeater is a dual-antenna receiver for improved sensor data reception between a GE wireless security system and a GE wireless sensor. The 80-922-1 wireless alarm repeater has tamper protection for the enclosure, antennas and for mounting the unit on the wall. The wireless alarm repeater reports a supervision signal every 64 minutes so you will know if it ever loses its connection to your GE wireless security system. Three LEDs on the front of the unit indicate power status. The 80-922-1 wireless alarm repeater is compatible with all SAW and Crystal wireless security sensors. Custom security system programming for the 80-922-1 wireless alarm repeater is FREE for all GeoArm monitored clients. The GE 80-922-1 wireless alarm repeater is recommended when you have a GE wireless sensor that is having RF supervision troubles. If you have a GE wireless sensor that is too far from your GE wireless alarm receiver or GE wireless security system, the 80-922-1 alarm repeater can solve the problem by boosting the range of the wireless signal.